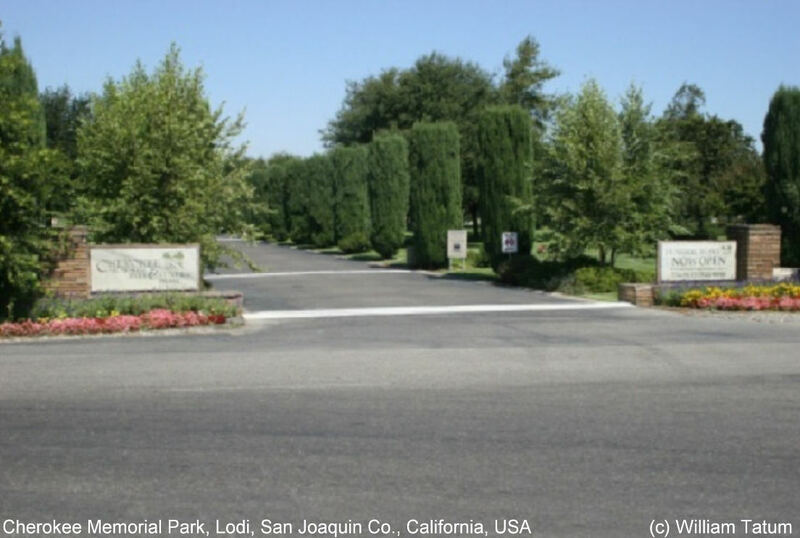 Cherokee Memorial Park is located at the intersection of Highway 99 and Harney Lane in Lodi, CA. As of June 2016, Cherokee Memorial Park implemented a new policy for requesting PLOT LOCATIONS ... they will only give that information to FAMILY members. With roughly 34,787 interments at Cherokee it is very important to have plot location information if there is a photo request. Please call Cherokee Memorial Park: 209 334-9613 to get the plot location.